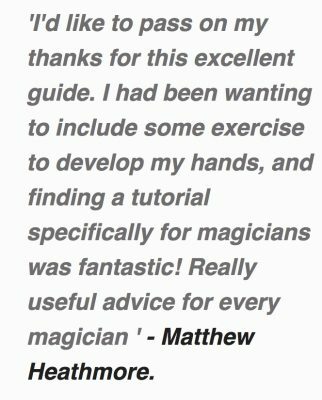 The Merchant of Magic has created a free ebook that will teach you simple, easy finger exercises used by professional magicians as part of their sleight of hand practice sessions. Develop dexterity, speed, and strength in your hands. 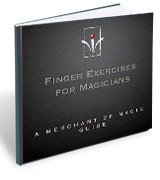 Improve your ability to manipulate playing cards or coins. Understand how your muscles control your fingers. Know when, where and how to exercise your fingers.